Huawei is focusing on emerging markets at MWC19, unveiling a host of innovations including the new 5G Skysite. Other highlights include Ruralstar Lite and Simplified AI Powered 5G. In a keynote presentation at the pre-MWC analyst briefing in London this week, recently appointed President of Solution Marketing and Sales for Carrier Business Group, Song Peng, said that demand from operators for 5G innovation is every bit as strong in emerging markets as in developed ones. 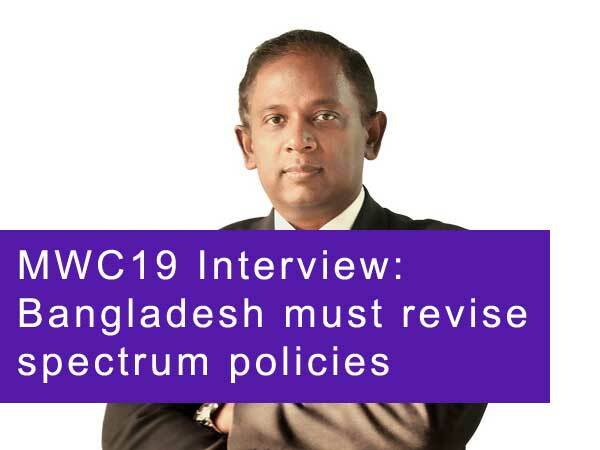 However, he said applications for 5G will be very different in emerging markets with the need for network simplification, automation, and merging of legacy network architecture being the main drivers. Having spent the last fourteen years for Huawei in Africa, Song is in a position to know. Song announced the latest update to Ruralstar, Huawei’s 2018 GLOMO Award-winning rural coverage solution, which he said had already made a huge impact in low population density areas in emerging markets and is the solution he feels most proud of. The latest iteration, Ruralstar Lite, sees big reductions in size and OPEX as new pole-mounted lithium batteries - which require no cooling - replace existing ground-based lead acid batteries, reducing the need for ground works and effectively making Ruralstar self-contained. Four new high performance solar panels replace the nine panels on existing units, and maximum pole height has been reduced to six meters. All this has been accomplished alongside a significant operating cost improvement meaning RoI for Ruralstar Lite has been reduced to 2 years. The speed and scale with which Huawei is able to innovate on what are already in many cases market-leading solutions reflects the company’s investment in Research and Development. EU research places Huawei’s R&D program as the world’s 5th largest. According to Song there are 80,000 R&D engineers at the company and Huawei’s R&D program is larger than those of all other telecom vendors combined. President of Carrier Business Group Ryan Ding appeared to confirm this in his opening address, in which he revealed Huawei’s progress in 5G since June 2018 when the R15 technical standard for 5G was frozen. With 5G base station shipments commencing in September 2018, over 25,000 shipments had been made by the end of the year. This number is forecast to reach 40,000 by the end of February as MWC19 opens. Huawei has announced a total of 30 5G commercial contracts: 18 in Europe, 9 in the Middle East and 3 in Asia-Pacific. Developed markets are clearly ahead in these statistics now but Huawei believes that 5G simplification with inclusive AI-based automation will rapidly change this, resulting in earlier 5G deployment in emerging markets than previously expected. Simplified 5G architecture combines existing 2G, 3G and 4G modes into a single 5G network. Inclusive AI based integration combined with 5G will fully automate mobile broadband (MBB) optimisation. Huawei announced a new ‘network brain’ - the MBB Automation Engine (MAE) - which it claims delivers a five-fold reduction of service deployment time, 20% increase in network performance, and a 10-fold increase in operational efficiency. A key barrier to the adoption of 5G in emerging markets is the perception that it will be expensive. Peter Zhou, CMO of Wireless Products, explained that this is incorrect because existing LTE infrastructure will be used as the foundation for 5G with the LTE + NR (New Radio) model. According to Zhou, 5G does not need thousands of new base stations, citing that in South Korea Huawei has already successfully upgraded 10,000 base stations from 4G to 5G on a 1:1 basis. Reductions in equipment size, weight and power needs are all significant in reducing cost. Huawei’s latest Super Blade site gives operators a claimed 8-fold reduction in total cost of operation (TCO). Zhou sees an alignment in maturity between 5G network infrastructure and user equipment (both handsets and enterprise) which will result in 5G development being faster than ever, as operators seize the opportunity to combine legacy infrastructure and switch to unlimited data over 5G business models to meet customer expectations. It took ten years to achieve 500 million subscribers with 3G. The equivalent time for LTE was five years. Zhou predicts 5G will get there in 2021. In his introduction, Ryan Ding focused on the vendor’s growing role as a provider of humanitarian communications solutions by unveiling the new Huawei 5G Skysite. Using a new ‘Book’ radio unit weighing only 7 kilos, 5G Skysite is 40% lighter than the outgoing 4G Skysite. The 5G Skysite antenna is supported 100 meters above ground by a drone and the entire base station can be set up in five minutes, to give between 30-40 square kilometres signal coverage.